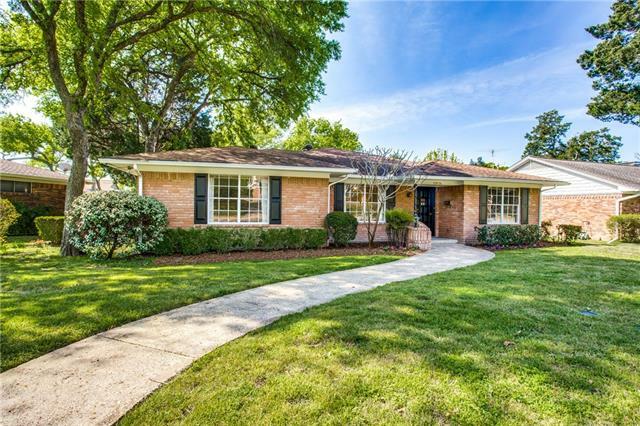 All Lochwood homes currently listed for sale in Dallas as of 04/22/2019 are shown below. You can change the search criteria at any time by pressing the 'Change Search' button below. "Contemporary Lockwood with wonderful landscape drive up, peaceful adjacent greenbelt. LR-DR with huge widows & sensational greenbelt views. Open concept kitchen has SS appliances, commercial, modern vent-a-hood, gas cooktop-oven, Silestone counters & mosaic back splash & EA. Spacious master with 2 closet & adjoining lg LA with balcony; spa inspired bath including vessel sinks, sep soaking tub & lg shower. Second master quality bed has updated bath, deck to pool. 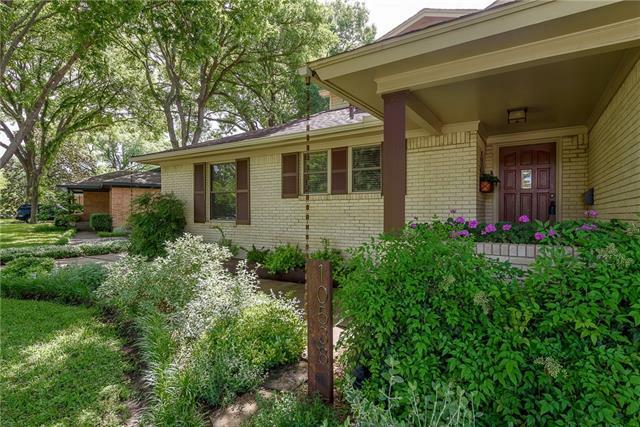 2 addt'l beds are"
"Fall in love at first sight with this thoughtfully updated home 2 miles from White Rock Lake. You are warmly welcomed with a bright and open floorplan perfect for hosting friends & family. Beautifully updated kitchen features quartz countertops, Kenmore Elite appliances, breakfast bar & more. Updated bathrooms, new fans and lighting fixtures throughout. 8 ft cedar fence with electric gate surrounds the thoughtfully designed serene private backyard including a large covered patio with recessed li"
"Magnificent! Completely renovated down to studs less than 10 yrs ago! Established neighborhood & fabulous outdoor space! The attention to detail & proud ownership shows thru-out this one of a kind 4 bd 3 full ba home. Updated kitchen with honed marble & granite counters, custom cabinets with built-ins galore! Kitchen opens to large family room with large picture window. All 3 baths have been completely renovated with NEW flooring, vanities & paint. Two beds down with two additional beds up with "
"MOTIVATED SELLER! $15,000 at close of escrow towards any finishes, upgrades or repairs. The charming light and airy concept with gorgeous floor, walls of windows, recessed lights and upgraded kitchen will allow you to entertain with ease. The bedrooms and closets are a generous size offering a blank canvass for you to make them your own. Last appraised at $530,000. Don't miss out on this instant equity." 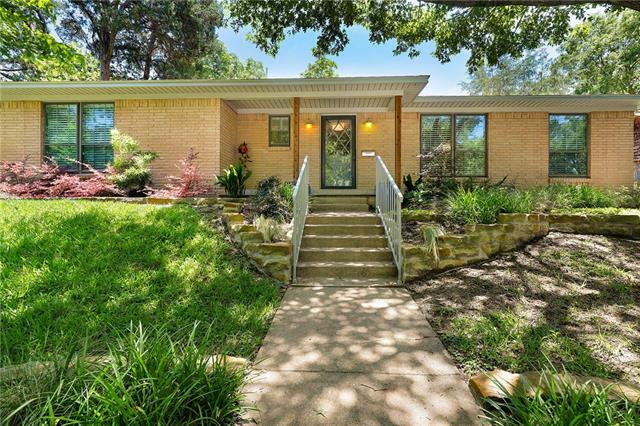 "First time offered since custom built in 1961 for a Dallas medical doctor and his family. This jewell of a home is located in the heart of Lochwood, steps away from Lochwood Park in a neighborhood full of young families and children. Rare 4 bedroom, 2 bath floor plan, larger than most of the homes in the neighborhood & situated on a 95 foot wide pie shaped lot. Spacious entry, large wood burning fireplace with hearth, mostly hardwood floors are under the existing carpet. Quality construction on"
"This Lochwood beauty has it all! 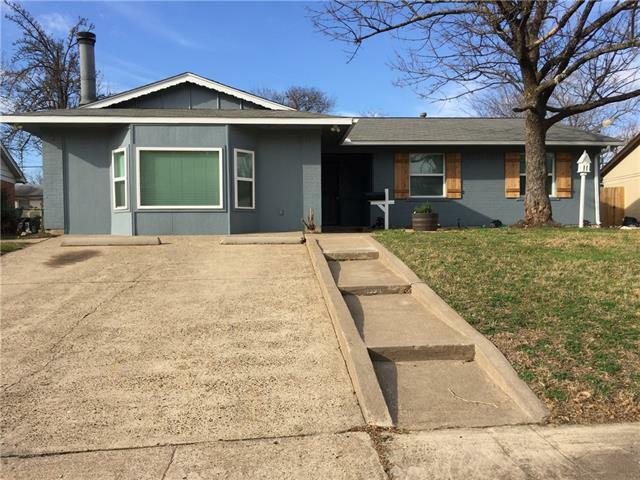 Handscraped hardwood floors, recently painted inside and out, the kitchen and bathrooms are completely updated, new windows in 2016, electronic gate, all new appliances that will remain with the home as well as the LG front loading washer and dryer. Beautiful well maintained yard with a sprinkler system and a large patio that includes an outdoor tv and garage tv for all your entertaining needs! 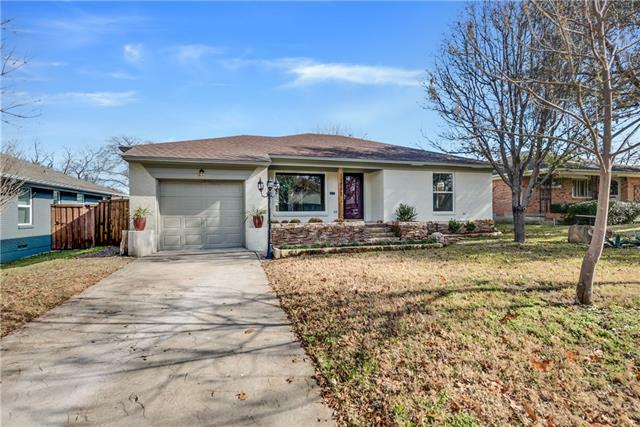 There's also a concrete pad for a She Shed, Man Cave, extra parking "
"Welcome to Lockwood an established neighborhood just a few minutes to White Rock Lake. Home comes with original blonde hardwood flooring in all rooms except the family room. Kitchen was updated with custom cabinets, granite counter tops with stainless steel appliances. Home includes plantation shutters in most rooms with good size rooms." 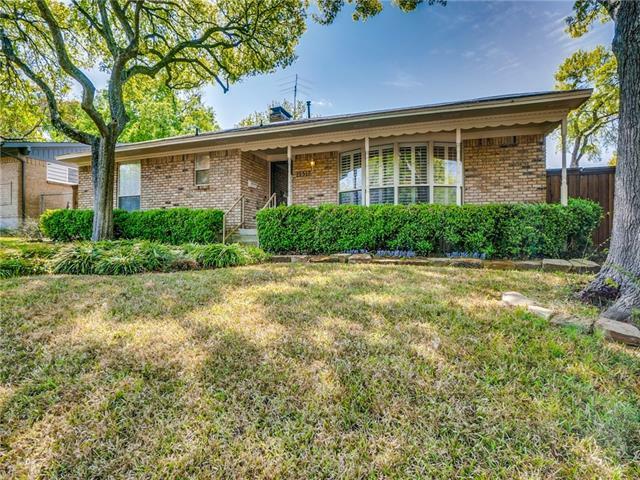 "***New Rock Bottom Price***This beautiful well maintained 3 bdrm 2bath home in the Lochwood area of E. Dallas has amazing drive up appeal. It boasts of beautifully redone hardwood floors (Jan 2019) , refinished bathrooms all with luxury brand fixtures such as Grohe. 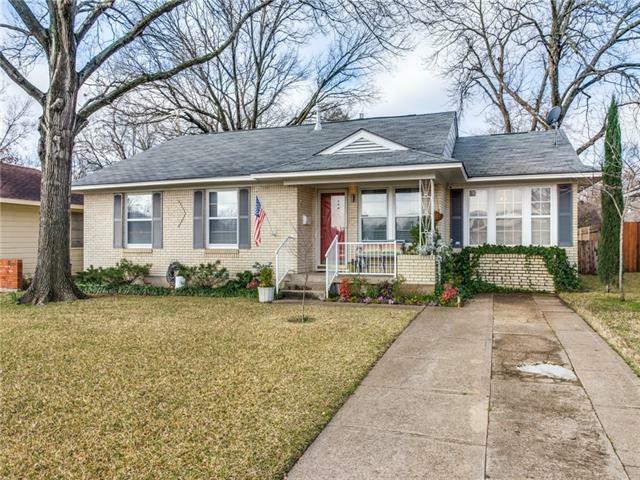 It has a completely renovated kitchen, new insulation, new HVAC, and a new roof! All the plumbing and electrical work was redone in 2014. 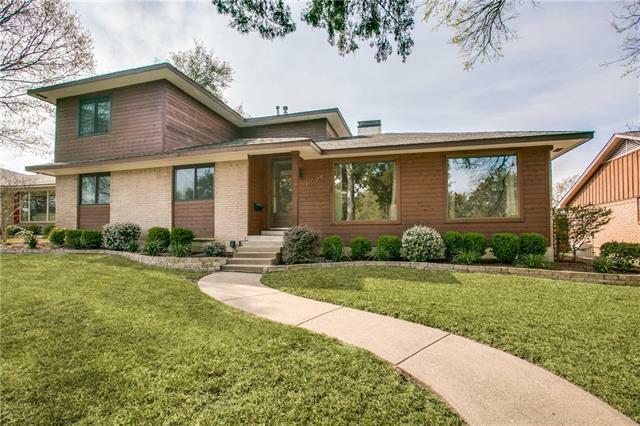 Outside you will find a huge deck to sit and relax and enjoy the beautiful landscaping and and "
"Beautifully remodeled home in the prestigious Lochwood community, located with-in walking distance from Lochwood Park. Completely updated kitchen cabinets, hardwood floors throughout, ceramic title in the wets areas, ceiling fans, light fixtures, canister lighting, granite counter-tops in the kitchen and baths, SS stove, built in microwave, and dishwasher. Huge glass window in the living area. Enjoy the outdoors on the covered front porch with room for a sitting area to look upon the pretty land"
"Wonderful home in beautiful Lochwood! Nestled between two lush greenbelts courtesy of White Rock Lake, you will absolutely love Donore Lane! Quality updates are abundant and include: open floorplan, light and bright, neutral color palette, gorgeous hardwoods, wonderful windows, island kitchen with breakfast bar, smart built-ins, sleek fireplace, stylish lighting, gas cooking for the chef, and charm galore! The master bed is a winner with a huge closet and the coolest bathroom configuration. 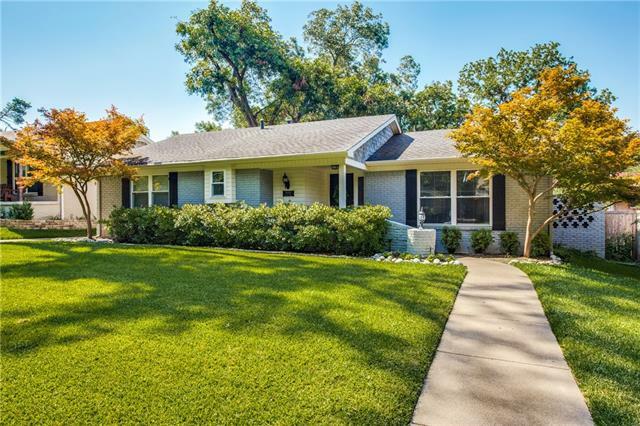 You "
"Located in the sought after Lochwood Subdivision just minutes from White Rock Lake, this BEAUTIFUL home blends both traditional and modern concepts. With everything from a COMPLETELY remodeled kitchen with a HUGE island and granite countertops, fully upgraded bathrooms along with BRAND NEW hardwood flooring throughout the home and an open-concept floor plan! this house is ready and waiting for you to call it home!"